Inspiration from Vogue Korea to brighten up your day. 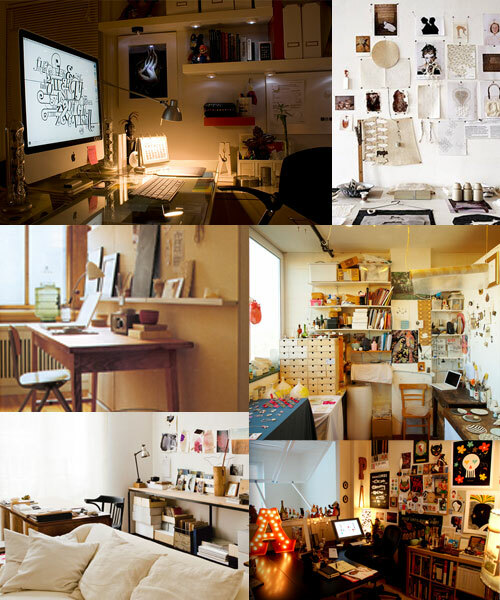 There’s something beautiful about seeing where artists work, a private space where all their creativity is born and developed. I’ve always loved WIP shots, establishing the process as a whole and following an artist’s idea and reasoning, they bring together a greater understanding and meaning to a piece of work don’t you think? 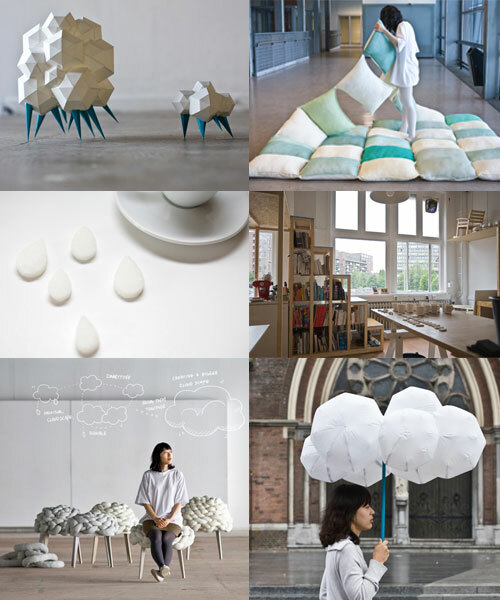 Joon&Jung are conceptual product designers from South Korea now based in Eindhoven, Netherlands. 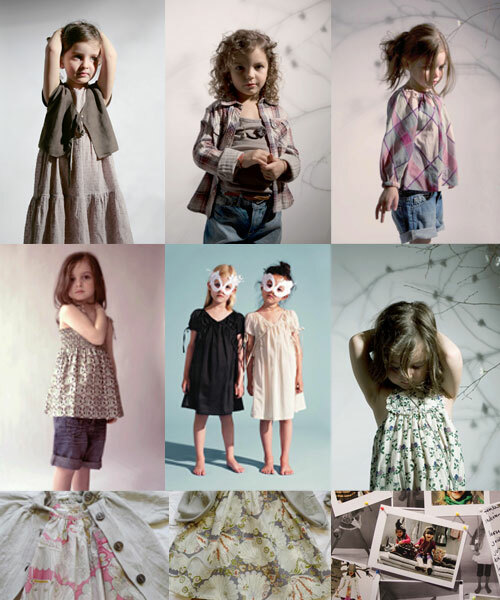 Their backgrounds provide them with an edge to create adorable designs inspired by the everyday. small pennon ribbon . 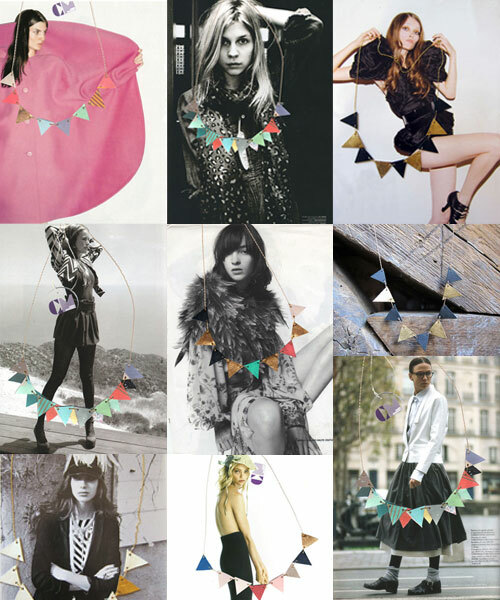 DIY lighted paper pennant garland . 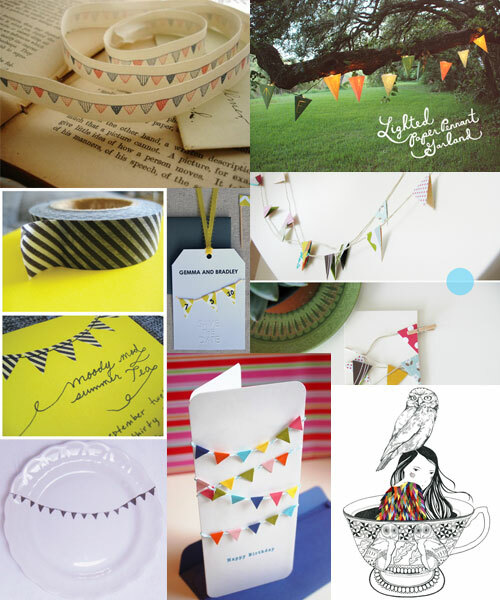 DIY pennant tea party invites . tea party plates . 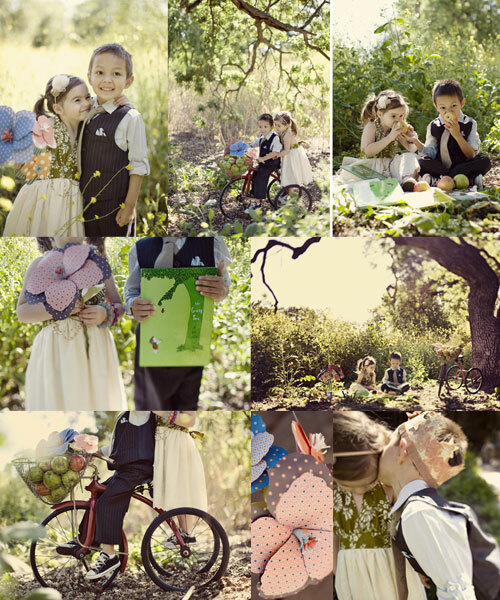 DIY save the date cards . mini pennant garland . 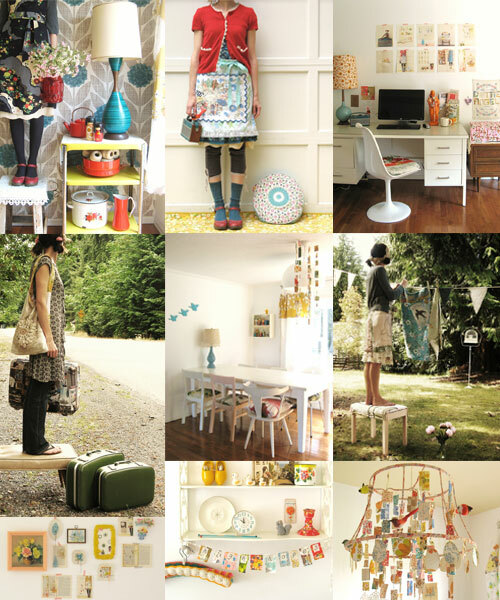 love the creative styling and photography. featuring her daughter Gracie and friend Zeke. 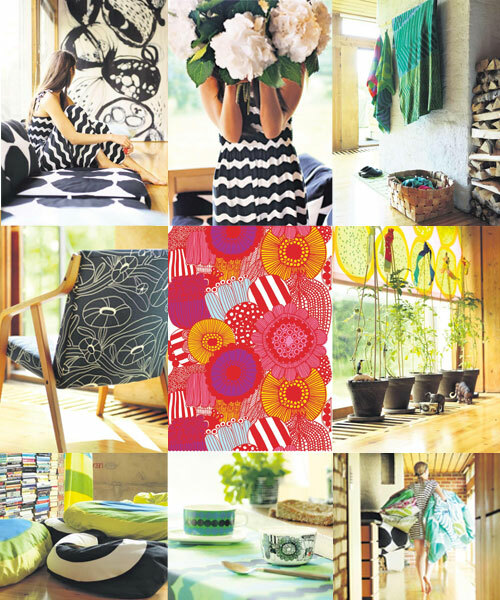 Marimekko is a leading Finnish textile and clothing design company that was established in 1951. The company’s objective is to grow and succeed in the international arena as a Finnish design company that has a strong identity. 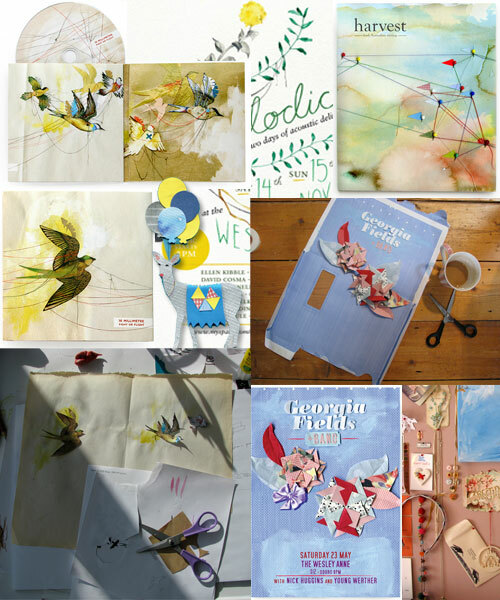 Browse through the 01/2010 issue of their online magazine, don’t miss the fascinating questionnaire with print designers on how they create their prints.